Borrow the velvet smoothness of rose petals and maintain the youthful vitality of your skin, for beautiful radiance, every day. Dry skin needs help to maintain vitality through the busiest days of your life. This rich cream combines two beauties – organically-grown wild musk rose seed oil, to encourage regeneration, while soft petals of damask rose add intoxicating fragrance. Skilfully blended herbal ingredients mean this cream effectively resists the first signs of ageing, softening early lines and maintaining skin tone and bounce. Has a little help ever been so graciously offered? 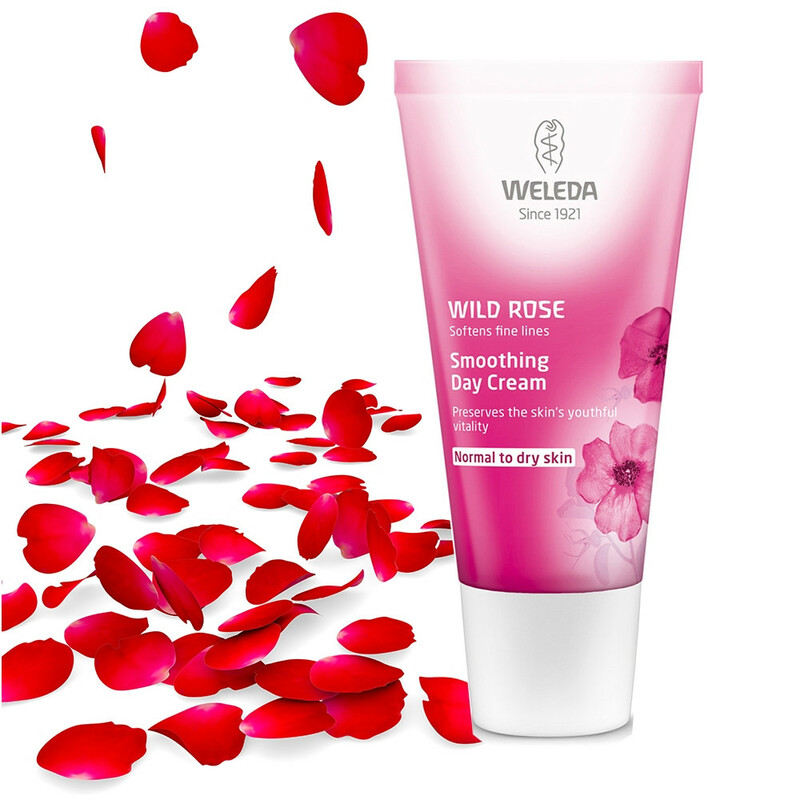 Tip: Wild Rose Smoothing Day Cream is also ideal as a base for make-up. Ingredients: Water (Aqua), Prunus Persica (Peach) Kernel Oil, Prunus Amygdalus Dulcis (Sweet Almond) Oil, Alcohol, Glyceryl Stearate SE, Rosa Moschata Seed Oil, Hydrolyzed Beeswax, Lysolecithin, Sedum Purpureum Extract, Equisetum Arvense Extract, Commiphora Myrrha Extract, Xanthan Gum, Fragrance (Parfum)*, Limonene*, Linalool*, Citronellol*, Benzyl Alcohol*, Geraniol*, Citral*, Eugenol*, Farnesol*.